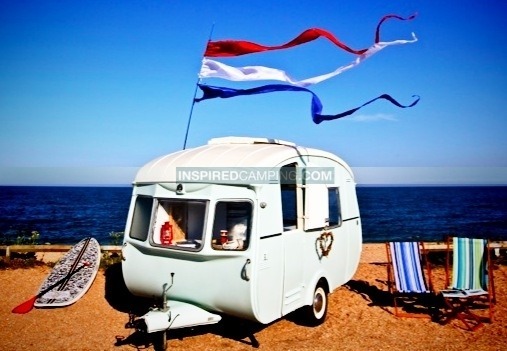 There is no doubt many of us are experiencing a new and growing craving to have our holidays in a vintage caravan. Following in the footsteps of the escalating vintage movement, together with the desire to seek a frugal yet stylish lifestyle, many of us are finding our own definition of vintage glamping or luxury camping. I am by both trade and nature a stylist, with an inclination that is always on the look out for new trends. Following my own instincts, observing other peoples, and while being true to my own tastes, I hunt out inspirations and influence that shape what we do. My inspiration for the ‘My Cool’ series of books (Caravan, Campervan and Shed) was born out of just that. Like many I am a busy self-employed mother. Realising as we all do the need to fill the vast weeks of the school holidays in an affordable and preferably stylish fashion came the bare bones of my own vintage glamping experience. In fact it happened in an almost unknowing and instinctive way. Amongst a sea of white modern caravans, I saw a 1970’s mustard and brown one for sale. It was a bit of an ugly duckling and I decided then to ignore the stylist in me. I was simply taken by the fact it was an unloved ugly duckling. So I purchased it and gave it a face-lift with wallpaper. Then I furnished and adorned it with a retro windbreak, outside chairs and festoon lights. None of this was expensive, but within a very short time I found that I had my very own vintage caravan holiday home that practically, economically and stylistically suited not just me, but the whole family too. I am not the only person who finds this a solution to how to have a stylish short break without spending a fortune or travelling half way round the world. Many of us have moved away from the singular annual holiday preferring shorter camping breaks instead. Recently published data from The UK Tourist Statistics show that camping nights at the campsite are growing faster than “bed” nights, and that the main increase is with short stays. This is an important point for the tourist industry to note and react to. My instinct is that the vintage trend is a satisfying way of creating a defined lifestyle, whilst quietly sidestepping the mass production trends. It is quite reassuring to have things around you that were made in another decade, to higher production values and with less obvious built-in obsolescence. It is also a virtue to use something more earth friendly, recycled and potentially produced closer to home, therefore with less air miles attached. Adding the stylish ‘vintage’ element gives another aspect to small daily tasks in everyday life. Even simple things become ‘an event’, such as the task of making a cup of tea. Using the enamel metal kettle, a proper teapot, tea cosy and teacup turns it into an experience. The vintage trend is both a re-assuring and a creative outlet that can influence your own tastes in fashion, architecture and home-wares. An outfit, a deckchair, a bike and a vintage caravan become worthy of a photo shoot. It lifts the spirits and pleasantly distracts from the realities of modern life. The growth in vintage caravans, chalets, and beach huts being used as holiday rentals, that are sympathetically restored and decorated in a retro style, is a trend that is also gaining momentum. They come fully equipped with a lifestyle and a means of engagement. Family holidays are the times when memories are made to be stored for a lifetime. The vintage holiday and its accessories give you holiday photo’s to go with them, and are ones you really will want to share. Board games, proper wool blankets, magazine quality interiors of professional quality, asking you to simply add your own life to the style to complete the mix. It’s such a heady mix it can even tempt you to take some of the style ideas home with you. Holidays can range from the harsh reality of a tacky rental holiday home, to the short-lived designer sparseness of a boutique hotel. We have done all that and from now all we want to choose is the stylish homeliness and individual touches of the new paradigm… the vintage caravan holiday. All our caravans are carefully renovated on the outside to retain their quirky external character. Open the door, and you step into a quintessentially English heaven, a romantic country ambience crammed full of vintage florals with a retro twist. Each of our gorgeous girls has their own individual personality and are styled accordingly, with vintage home-wares and bunting in abundance! Now, we don’t want to boast, but we believe our vans can add a little something to any occasion. 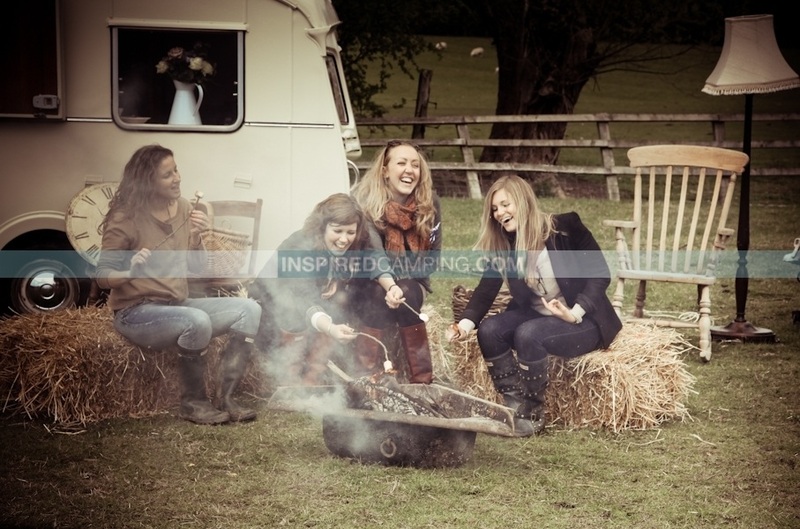 So, don’t just think camping… think 70s style garden party, think backdrops for business promotions or model-shoots, think incentive prize for staff, or think of an exciting treat for the kids. 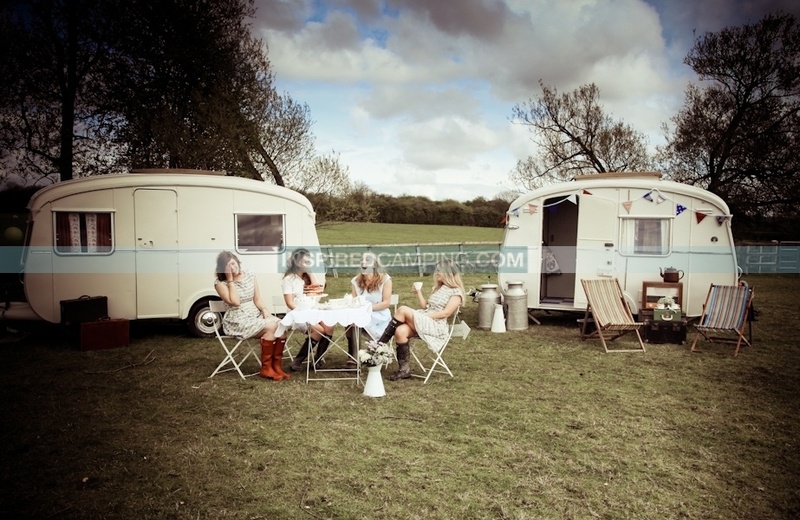 Want to experience a vintage style holiday at it’s very best? 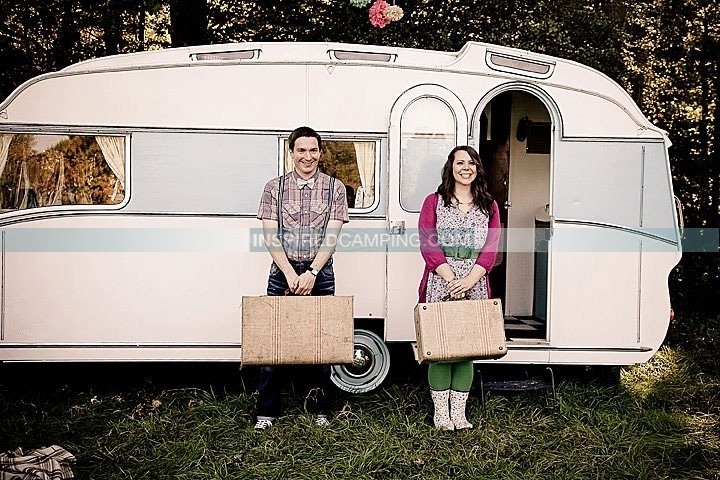 We hire vintage caravans with all of the trimmings, such as retro camping equipment, cosy soft furnishings, vintage china, picnic equipment, board games – the lot. You don’t even need a tow bar as we can deliver your caravan wherever you like. Our classic caravan Ella May comes complete with bunting, picnic rugs, blankets, chairs, a picnic table, beautiful china, props, books, games and puzzles to keep the whole family entertained. Should you wish for a more active day then our carefully chosen campsites with stunning views and walks through the most beautiful countryside will suit you too. We are a South West of England company based in Kingsbridge that restores and sells vintage caravans. We bring a little ‘beach hut’ style and love of the sea and all things nautical by incorporating them into these beautifully restored vintage caravans. Using traditional fine wood veneers such as pippy oak, birds eye maple, ash and English oak, we hand build vintage caravans. Incorporating traditional dovetail joints on the drawers with heavy-duty runners and mortise and tenon joints where applicable, you will have a traditional hand-built caravan to be proud of. Proud to show….and proud to tow! 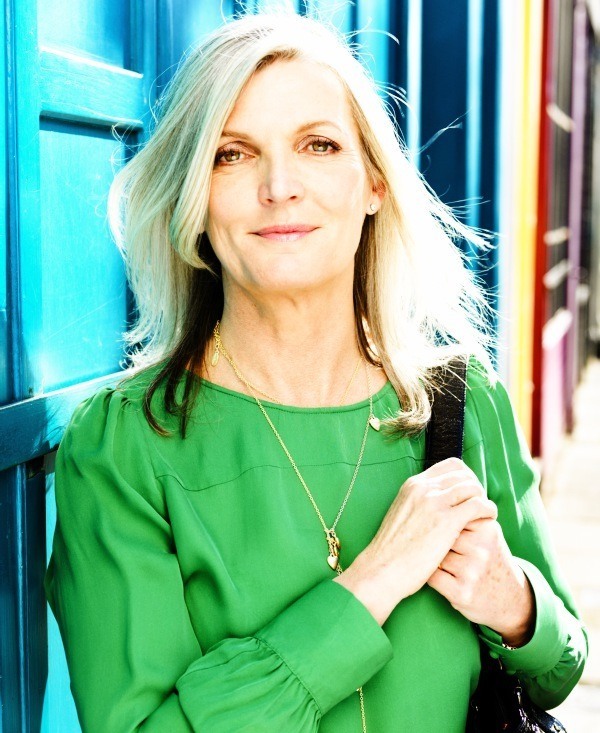 Picture Credits: Jane Field-Lewis and the caravan companies mentioned.